This beautiful contemporary villa is all about smooth, sleek lines and seamless views, and its hilltop location makes it a majestic vantage point. With some of northern Spain's most picturesque villages on the doorstep, it's a perfect holiday venue. 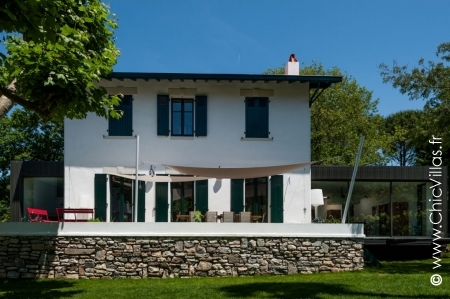 You will love the authentic Basque charm of the main house and the wooden garden chalet at this luxury property. 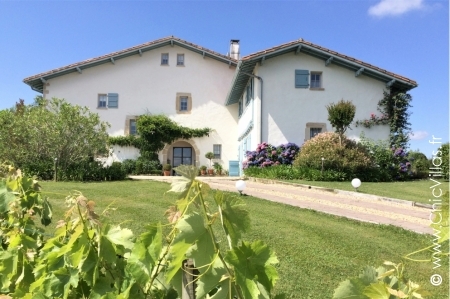 Swimming pool, pool house, spacious rooms, this property ticks all the boxes for an enjoyable Basque holiday. 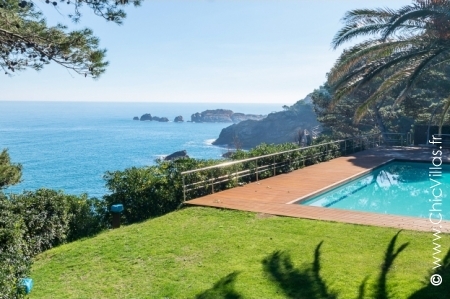 Sueno Sant Agaro is a luxury villa in Spain set in quiet surroundings between the town, the sea and the forest. 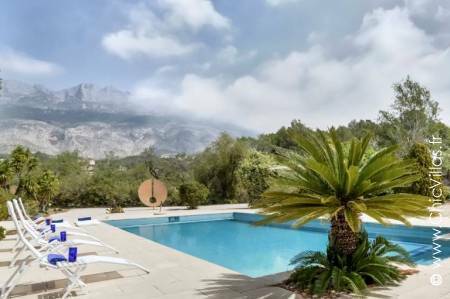 You will be enchanted by this holiday rental with a pool which has been fully refurbished and features a combination of artworks and modern design furniture. 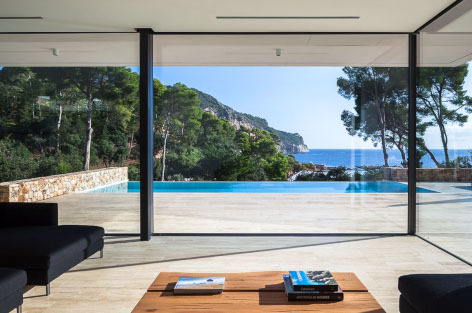 Pure Aiguablava is a resolutely modern villa, designed to celebrate the sun, sea and space. With an infinity pool just steps from the lounge and the beach on the doorstep, cooling down from the Mediterranean heat couldn’t be easier. 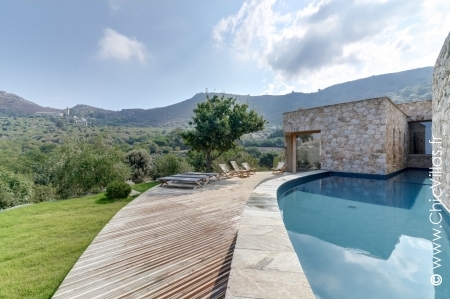 15th-century Spanish manor house Masia Grande is a stunning blend of authentic and awe-inspiring. 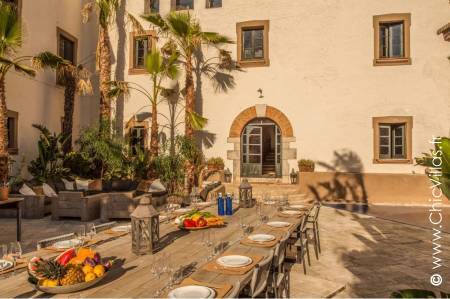 This luxury villa in Catalonia will take your breath away with its impressive architecture and panoramic rooftop views of hills and vineyards. Bring your friends and relax in style. 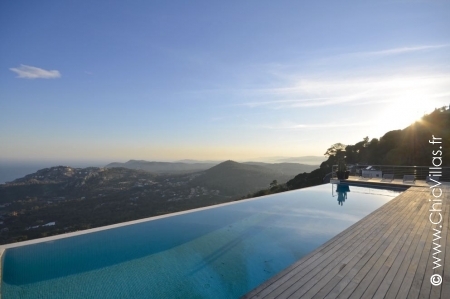 Grande Catalonia is a stunning luxury rental villa in Spain. 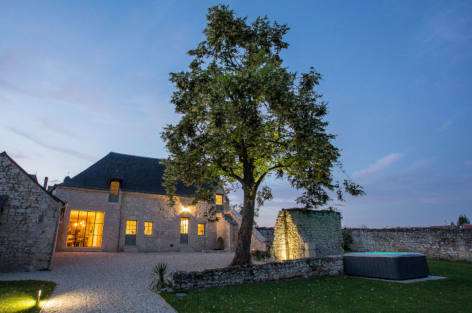 This 18th-century farmhouse has been fully refurbished to become an irrefutable ode to sumptuous modern elegance. Step into 700 square metres of beautiful escapism and total comfort. 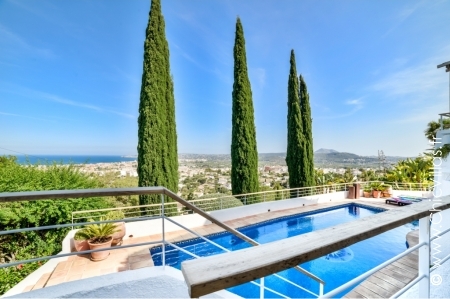 Enjoy a slice of the Spanish lifestyle at this beautiful luxury villa that oozes sophisticated Mediterranean simplicity. 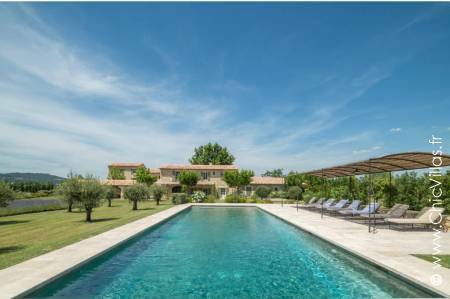 Pure Nature Catalonia is a luxury holiday villa in Spain that will have you lapping up la buena vida! 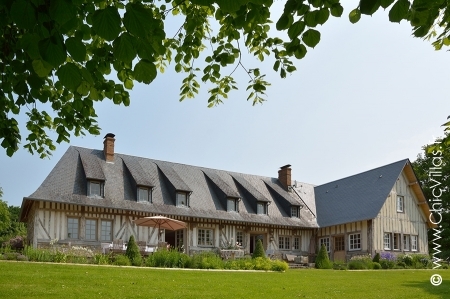 Whether you're looking for a manor house or a traditional Cap Ferret wooden cabin, you will love this one of a kind property. 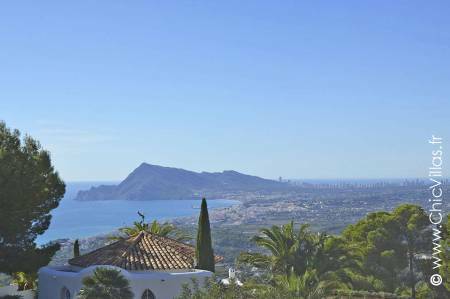 This luxury rental villa comprises a main building with 6 bedrooms including a master suite and a mezzanine, and a cabin featuring a further 3 bedrooms. 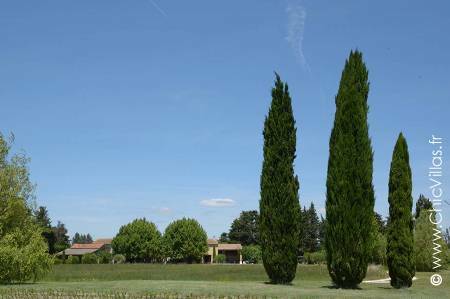 This spacious rental property is ideal for holidaying with family or friends. 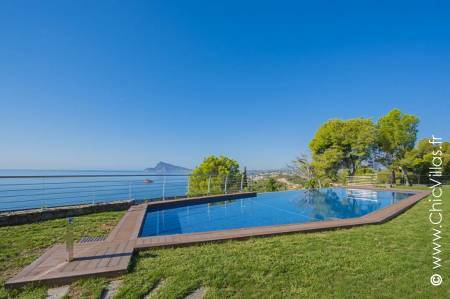 The exceptional location overlooking the sea, and the villa's heated swimming pool will ensure that everybody has a great time. 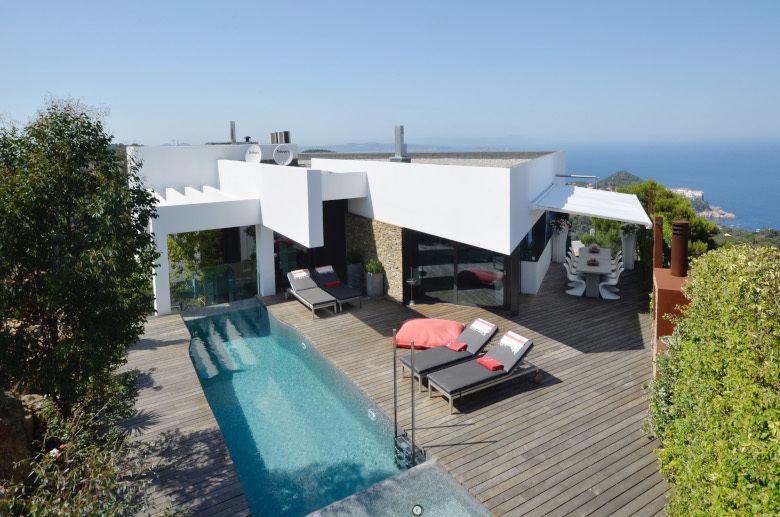 Enjoying direct access to the Costa Brava beach and a panoramic sea view, this luxury villa is what dreams are made of. 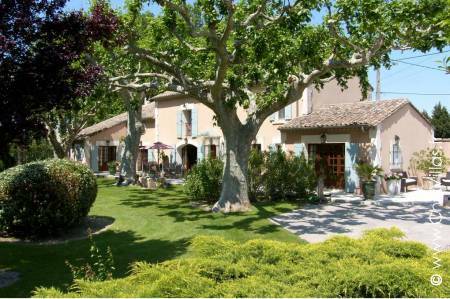 And that's not all: this 450m² holiday villa, set in 15,000m² of grounds, also offers excellent amenities. 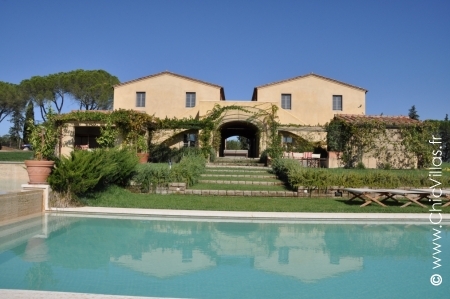 "Pure Toscane" is a luxurious villa situated in the heart of Maremma. 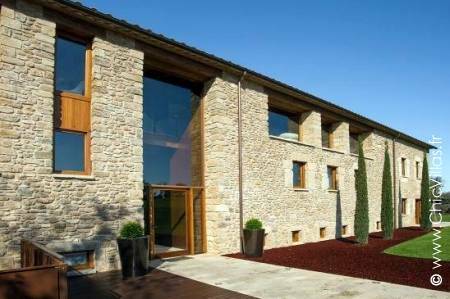 Originally a traditionally built property, it has undergone a complete and very tasteful renovation. Today featuring a classical architectural style, it offers a very comfortable interior with a warm and welcoming atmosphere. 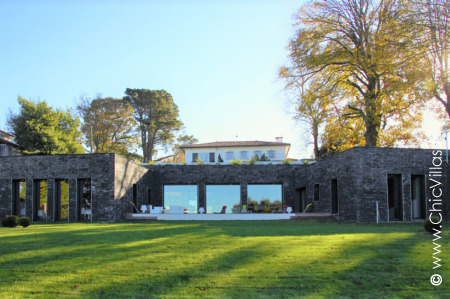 At first glance, Design Biarritz looks like any other traditional Basque villa. However, it is nothing of the sort. 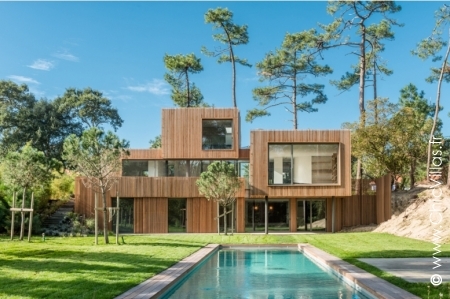 This luxury villa in Biarritz unveils surprise after surprise - from the contemporary interior to the kitchen set in a resolutely modern extension. 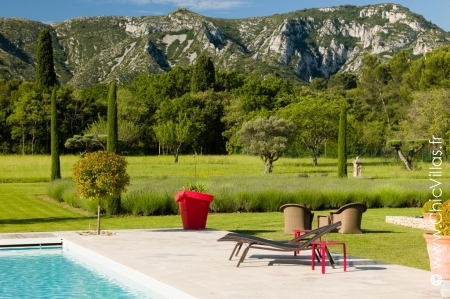 We highly recommend a stay at Design Ciboure, a resolutely modern villa that oozes contemporary style. 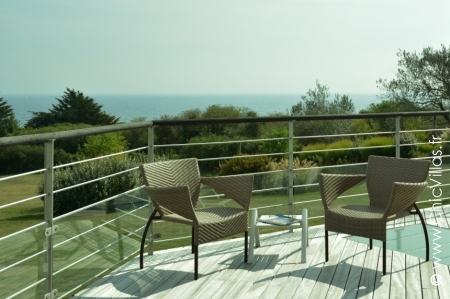 With a thoroughly modern décor inside and out, spacious interior and wonderful views over the bay of Saint-Jean-de-Luz, it is the perfect setting for a holiday on the coast. 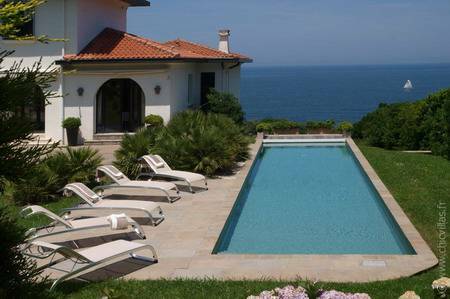 Plage ou Golf Biarritz is a 350 m² luxury contemporary villa which is just a stone's throw from the beach. 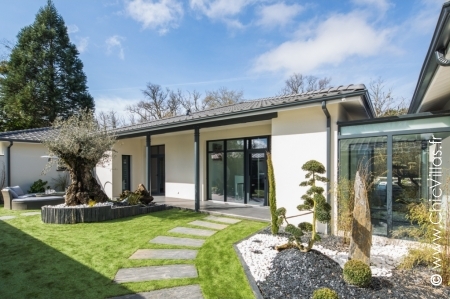 Its sleek, modern interior and large 17 m swimming pool are two of its key features. 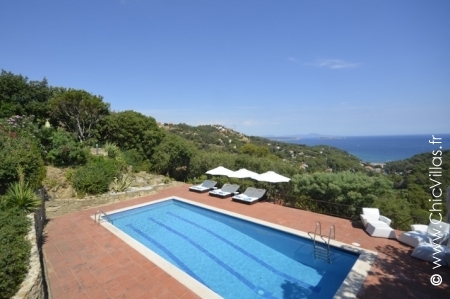 The villa Esprit Balagne lies in the beautiful Balagne region of north-west Corsica. 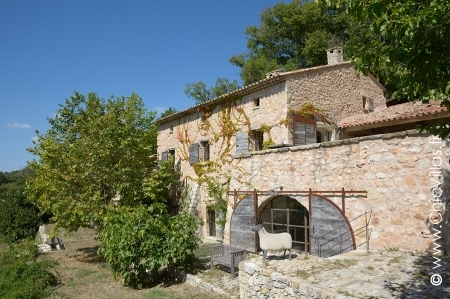 Rent a luxury holiday villa overlooking the sea and the mountains, just 10 minutes from Ile Rousse. 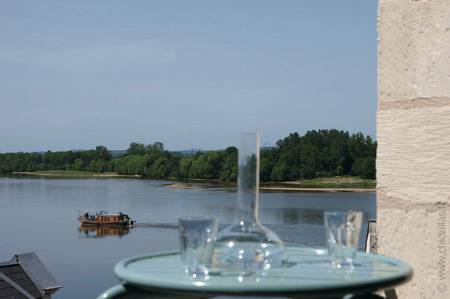 Soak up the stunning view from a beautiful terrace which harmoniously reflects the natural surroundings. 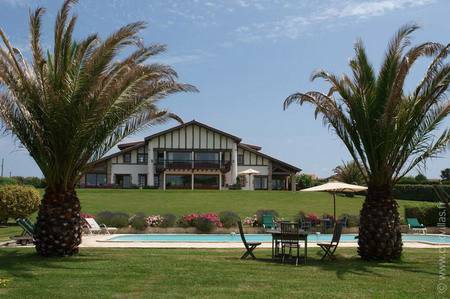 Situated less than 3 km from the centre of Biarritz, from the beaches and the golf course in a peaceful, open, residential area, the villa "De Luxe Biarritz" is a haven of peace and simply perfect for relaxation. 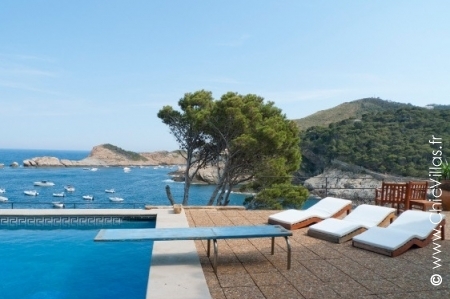 Pure Luxury Costa Brava is a luxury rental villa in Spain and really is something special. 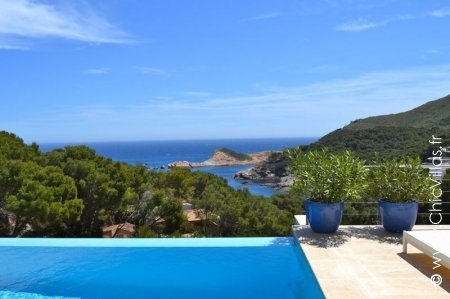 Nestled in a cove just above the sea, it has a stunning sea view and direct access to the beach. And you will be just as impressed with the inside, featuring spacious rooms and a homely feel throughout. 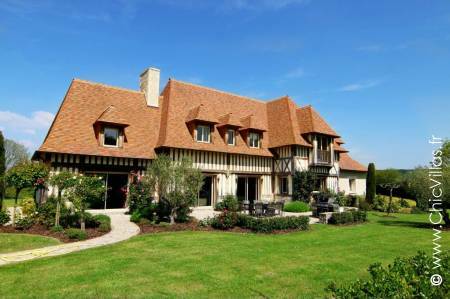 Chic Villas has a prestigious selection of luxury villas. Relax in style at a beautiful property with premium amenities both inside and out. 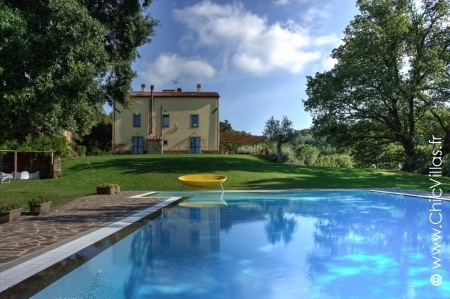 A fully-equipped luxury villa with family or friends. 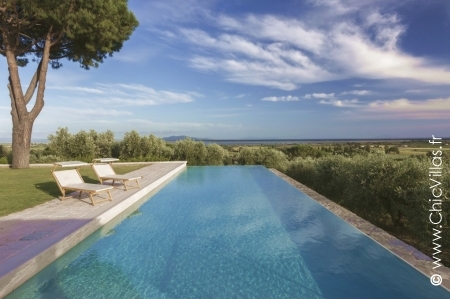 Our hand-picked luxury villas include stylish modern properties and exquisitely refurbished older houses. They all have beautifully decorated, bright and spacious interiors and top of the range amenities. There is plenty of space for each guest to have the comfort and privacy they need. 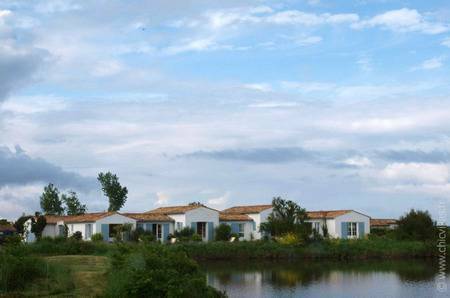 With Chic Villas, luxury is wherever you want it to be. 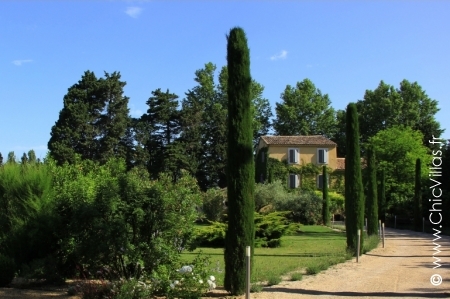 Whether it’s a beachfront property in Brittany or Provence and Cote d'Azur, a beautiful manor house in the Alpilles, or a chateau in the Loire Valley, all our properties are selected for the quality of their services and surroundings. 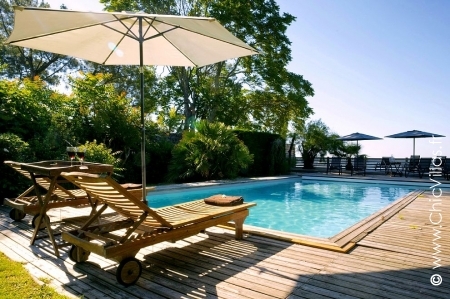 Enjoy the holiday of your dreams at a beautiful villa set in a wooded garden or grounds with a pool. 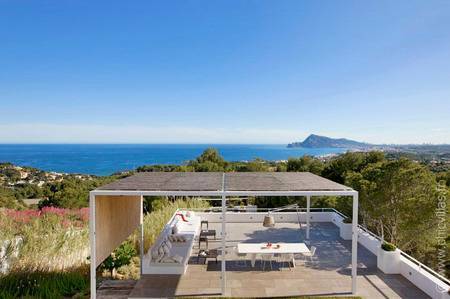 Head to Spain for a luxury villa that ticks all the boxes. 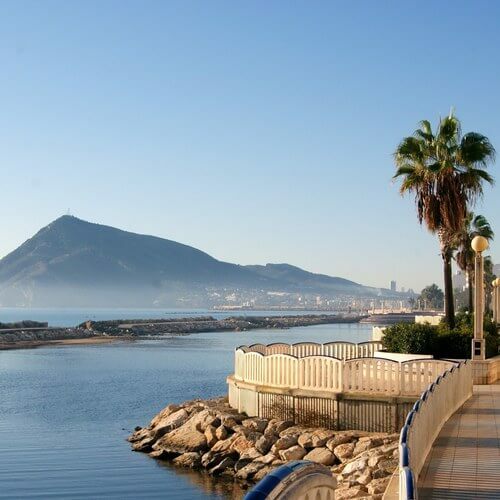 A sea view and beachside location make for a fabulous holiday on the Costa Brava or Costa Blanca. Inside, you’ll love the stylish and perfectly laid-out interior designed to provide harmony and relaxation. Or why not choose Italy? 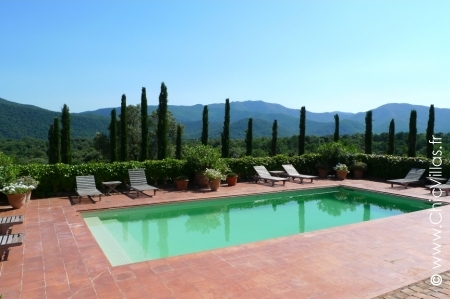 Our holiday rentals in Tuscany can cater to your every need. Settle in to your luxury villa before setting out to explore a region steeped in art and beautiful scenery.